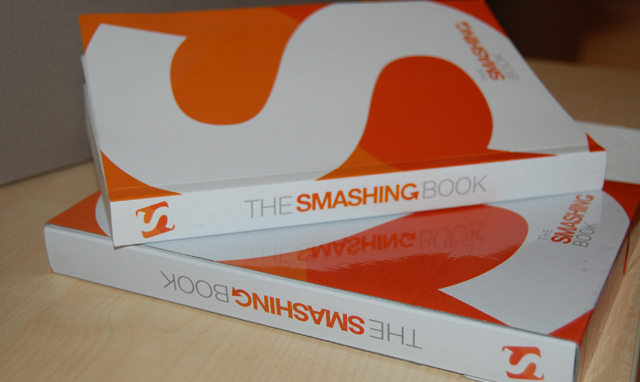 The people over at Smashing Magazine have really outdone themselves with the release of their new book! This book is hands down one of the best web design related books I have personally read. The amount of information that is covered is outstanding and I would highly recommend this one to anyone that is involved in the web design industry or web development. So as you can see there are a wide variety of areas that are covered throughout the book. I really enjoyed the last two chapters which include interviews with industry leading designers and the story of how Smashing Magazine came to be. To get advice and tips from some of the best designers in the industry was a great addition and the insights were very helpful. The actual story of Smashing Magazine is amazing and they give readers a peek into how the guys started, how they grew the site, the process of finding content and authors and just how much hard work is put into delivering the massive amount of content on a daily basis. The book arrived in the post and at first glance, I thought they had just wrapped the book in some clear plastic wrap and mailed it off. Once I pulled off the packing wrap I figured out the book was actually inside of a box that looks exactly like the book itself. I have ordered my share of design books online and this one was the first to come in such a unique package. Not to mention it will keep the book safe from my two-year-old which is always good, right? This book would make a great Christmas gift, but would also be a great self-purchase. The authors spent a great deal of time on each of their chapters and the advice is flying at you from the time you open the front cover. Make sure to visit Smashing Magazine for ordering information. I hope this review is helpful and please feel free to leave a comment below if you have something to say. Hopefully by using some of the new tips I learned from the book my site will benefit and maybe even load a bit faster! I think this may well be going on my Christmas wish list! Great review. Many thanks for that. Nice little review. I want a copy so bad but Christmas has taken all of my funds in a terrible way. Soon, though. The book looks excellent. Hey everybody! Thanks for all your comments. For those who still haven’t received the book, hang in there! I have had the same issue when ordering books from the USA. Sometimes it takes a bit longer than it should but I am sure its on the way. I ordered this book myself and even paid for additional shipping to help out designers overseas. However, I still have not received my copy despite getting an email about a week ago stating that my order had been shipped. I hope I get it before the year is over though, I’m really looking forward to enhancing my skill set. I received it yesterday and seems to be great ! But (no offence intended), this isn’t much of a review. You talk about the packaging, list the chapters, but don’t really give any insights into the content – or perhaps just brief notes on each chapter. Hey Dan – Thanks for your comment and no offense taken! The reason I did not go into the details of each chapter is due to the fact that the book is brand new and I did not want to ruin it for people who have not yet received it or haven’t had time to read it. I just wanted to point it out that it’s a great read and people should check it out. Even though you already ordered, if you are interested in full chapter details or want a teaser chapter, I would suggest checking out the free 1st chapter download over at Smashing Magazine. Hi, a few words about the quality of the book would be nice too. I’ve found that the content is great, but the quality of binding / amount of space in the spine is quite bad. I received my book yesterday and, although I agree with you, the content is fab, the physical book is awful. I’m bitterly disappointed at how poorly put together it is. 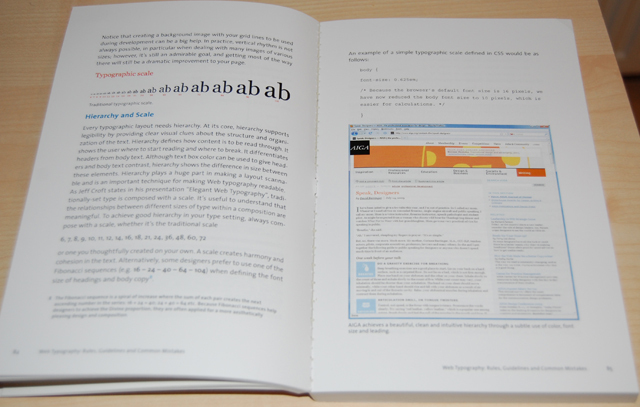 The binding is simply wrong for the size of book – 311 pages with a glued spine. It’s so stiff, I can’t open my book properly without wrecking the binding and many people are complaining on the Smashing site that their book has already fallen apart. My advice – save your money and wait for the inevitable second edition. Thanks Phillip – fair point! Yeah, the first chapter was excellent, looking forward to receiving the book :). I aslo ordered mine as a pre-release..but I am also still waiting. So far based on all the comments I have read, my impression is that the content of the book is good (i guess thats the most important thing) but the quality, physical size and binding of the book is really poor quality. I guess I’ll just have to wait until next year to know for sure. Also maybe I missed it somewhere, but when I was ordering the book it was under the impression that it was being shipped from the US, I never saw a note anywhere stating it would be shipped from Russia otherwise I would pay the extra for shipping because the estimated ground shipping time is 30-40 Days to the US. Just got my book in today (loooooooong wait) and am hugely disappointed. While I haven’t yet spent much time in the book, the design of it makes me want to run away as fast as I can. It is too thick for the type of binding, requiring too much force to keep the pages open to where you want them. When you open it wide enough to actually read, you quickly realize that pages will start falling out with much use. For such a great online magazine with such amazing content, they really botched this book from a design standpoint.